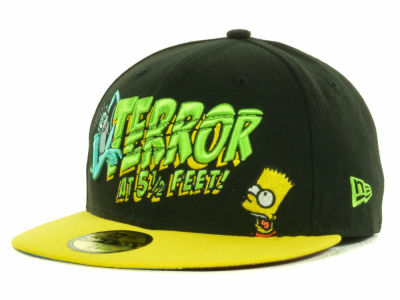 This Terror at 5 1/2 Feet 59FIFTY® fitted cap features an embroidered graphic on the front, stitched New Era® flag at wearer's left side and embroidered Treehouse of Horror logo on the rear. Interior includes branded taping and a moisture absorbing sweatband. Specialty image under visor.